Since deciding I wanted to create a 12-step program to letting go of my negativity towards love and finding the self-love I need –I’ve been in a great mood. I have been buzzing with this positive energy, telling everyone I know about how excited I am, and the support I’ve received from my friends and family has been incredible. I haven’t been sleeping well because I’m so full of creativity and ambition over this journey and how badly I’ve needed to do it, and the fact that finally, I am. These blogs have literally been flowing out of me –almost like an out-of-body-experience. When I re-read them, it’s like I don’t even remember writing them. And all those happy thoughts, rainbows, butterflies, and fairy dust that have been keeping me on a “Hope-to-Love-Being-Single Cloud 9” disappeared in a matter of seconds yesterday. It was a particularly busy day at the magazine because it was the day before going to press. Last minute edits were being made, the edit staff was arguing over commas and pull-quote selections, and the art director was attempting not to lose his cool. As the EA, I sat up front, man the desk, man the process, and smile and nod when needed. I was editing pages when my FedEx guy (he always remembers me) walked in, cheerful as always, with a big box that read “Pro Flowers” on it. Immediately, in the mere four seconds it took him to walk from the door to my desk, I racked my mind with who could have possibly sent me flowers: My mom? Would she send me flowers? What about my dad –did he say he was going to do that? What about the guy who came to my birthday party –would he do that? Does he even have my address? What about my ex –is he trying to win me back…again? The nice FedEx man interrupted my ridiculous questioning and happily said they were for my co-worker, J. Without even thinking, I grumpily replied “Of course they are.” I quickly signed my name and he walked off as my co-worker giddily accepted the flowers waiting by my desk. All it took was for the realization that flowers weren’t for me –even though I wasn’t expecting flowers –to turn my mood downward. I automatically typed a snarky IM to the co-worker who received the flowers, and then told our general manager about it with a frowny face. 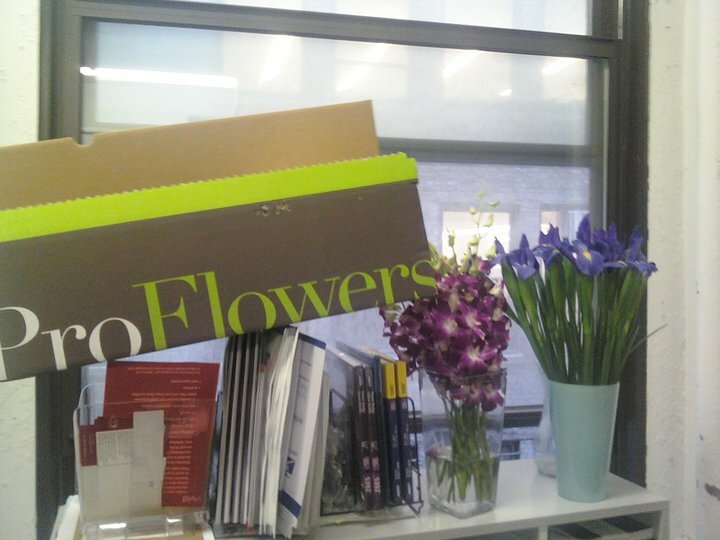 My co-worker, E (also a single chick) and I looked at each other and silently said: “Really?” She quickly said, “All I get is e-flowers,” to which I replied, “I don’t even get those!” Then, I started getting annoyed at the fill-in editor and with the art director, and in a huff –I decided I need to get some air. I marched (literally, stomped) my way to a new food venue (I had a 20 percent off coupon, so why not?) where five very friendly, perky employees greeted me kindly and asked if I could be helped. I snapped at the last one, and when I couldn’t order my Diet Coke to go with my avocado burger –you’d think with my attitude, the whole world was falling apart. And in a way –it had. I had been reminded that I was single. That flowers weren’t for me. 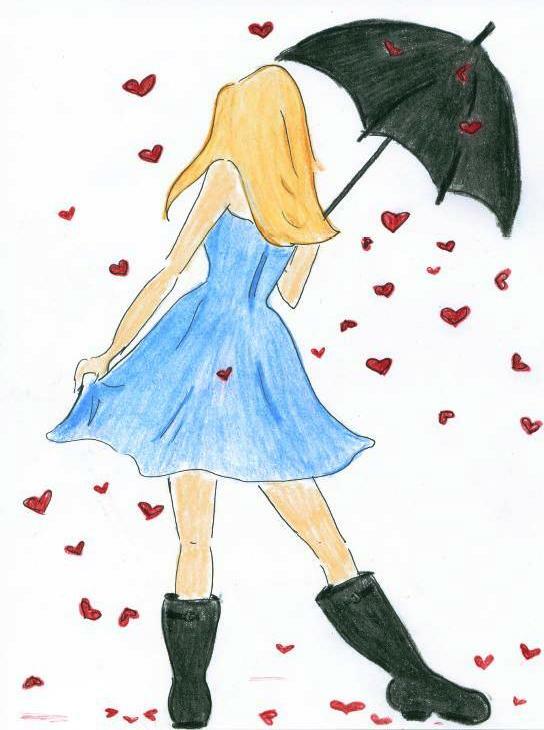 That there wasn’t a secret admirer who cared about me. That I wasn’t the special one in the office who was on display because their boyfriend publically displayed his love. That all of this blogging maybe wasn’t going as smoothly and easily as I had imagined. That maybe, I was still going to have admit my jealousy and my poor attitude…is a more intense, than even I originally thought. However, having this experience only strengthened my desire to continue on this journey. I don’t want to feel this way when someone gets flowers. Especially J who has grown to be one of my dearest friends, and who doesn’t boast about their relationship to me (and frankly, has listened to my ridiculous rants since the day we met). I want to be able to be happy for those who have found love, not dangerously jealous. I don’t want my longing for love and dissatisfaction with being single to rule my life. So here is the last part of step one –I fully, whole-heartedly admit that I have a problem with being single. I admit to being envious of others. I admit to being hateful, sad, and overall just moody when something rubs me the wrong way in terms of love. I admit that I hate being single, but I sincerely do want to learn how to achieve contentment and happiness as a solo-lady. I admit this process is going to take work and it’s not going to be easy. And to celebrate moving on to Step 2 “believing a higher power can take away my negative attitude towards love” –I’m buying myself a bouquet of tulips and daisies. After all –if it’s about self-love, I deserve to show me that I care.